The XYZ Pad is a sensor capable of reading 2-dimensional position, and force, from a single input (i.e. a finger or stylus). 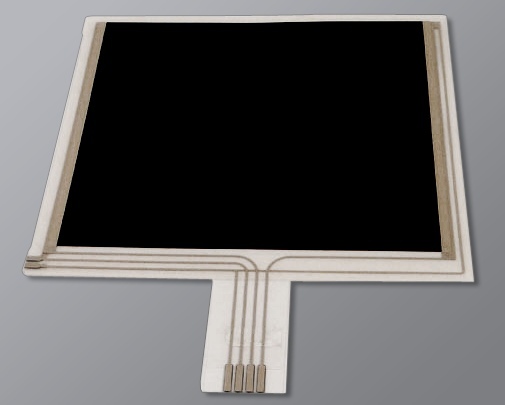 XYZ Pads operate similarly to a 4-wire touchscreen / touchpad, but typically provide better force (Z-axis) resolution. In this tutorial, we'll connect an XYZ Pad to an Arduino and read position + force. XYZ Pads are 3-axis touch sensors that enable a wide range of human input and electronic musical instrument designs. XYZ pads are force-sensitive, and share some common technology / construction with single-zone FSRs. However, they're slightly trickier to interface with a microcontroller, and some basic multiplexing is required to alternately drive and read the same pins. In this tutorial, we'll wire a Sensitronics XYZ Pad to an Arduino to demonstrate the basics of reading position and force. 4-wire resistive touchscreens also operate according similar principals, so if you've worked with touchscreens, the concepts here will be quite familiar. If not, don't worry, we'll cover things step by step.